Spring is right around the corner but it’s not too late to start planning your garden. Part of your plan for 2017 may include weaning your garden off chemical pest control and you may have heard that bio-controls can help you in this endeavor but you’re not sure where to start. Predatory insects (aka. 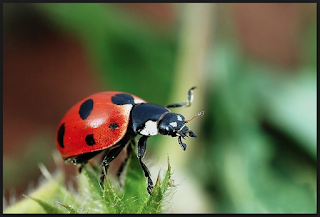 beneficial insects) are a great place to start. Yes, that’s right, beneficial insects. Once you get over the fact that you actually want these bio-controls/insects in your garden you’re on your way to a healthy garden, better yields and a thriving ecosystem. So, that’s all well and good but how do I attract the good guys to my garden? Let’s start by planting groups of host plants like Achillea ﬁlipendulina (yarrow), Cosmos bipinnatus (cosmos), Solidago virgaurea (goldenrod) and Aster alpinus (aster). It’s a good idea to plant these hosts in groups since it increases your odds of attracting/hosting predatory flies, lacewings, ladybugs, hover flies and parasitic wasps to and in your garden. Once these predators are in your garden they will begin to prey on the undesirables like aphids, mealy bugs and a variety of insect larvae. There are several other plants that you can utilize to your garden’s benefit beyond what’s mentioned in this post so don’t limit yourself to these plants and always experiment. Another tip about host plants: Stager your plants by flowering season. If you stager them by season you’ll experience more uninterrupted bio-control coverage throughout your growing season.